No, I’m not afraid of heights. I’m terrified of the imminent probably of my death and/or dismemberment from the fall. 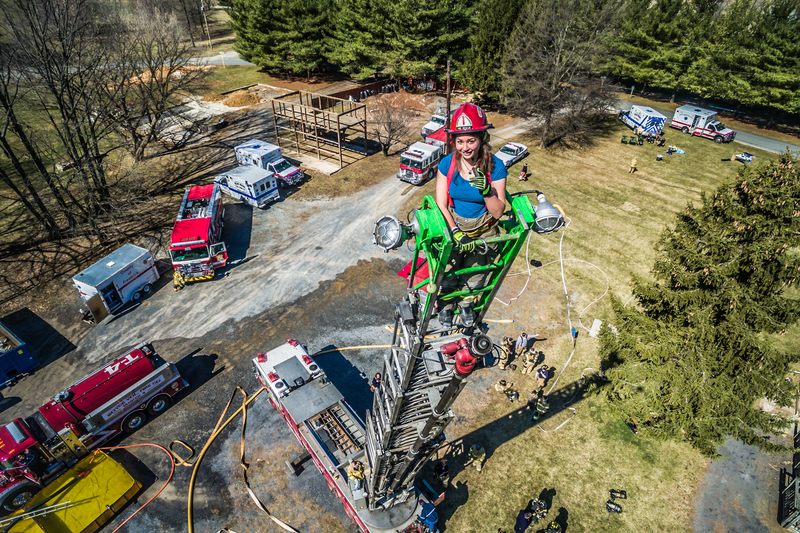 I want to say thank you to all the firefighters this weekend for making me feel welcomed to their training burn in Clarke County especially Chief Jason Burns who let me shoot all over the place. I was so concerned about being in the way and, at every turn, there was somebody allowing me to be right in close to all the action. They even fed me lunch! I came away with some awesome images and footage for their recruiting video. I produced a recruiting video 5 years ago and this one will be a complete refresh of that one (in the same style). A big shout out to Zayna Elhady for allowing me to buzz her with the aerial camera and also for letting me post the image here.